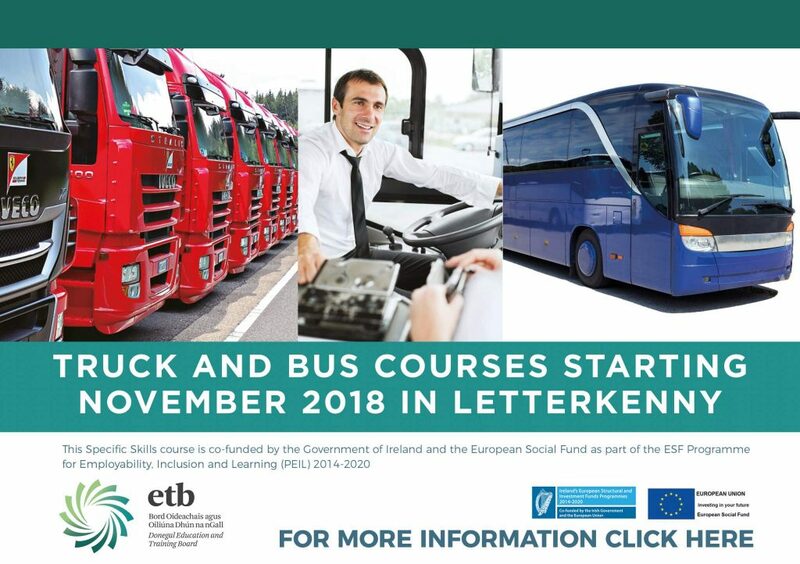 Donegal ETB is currently recruiting for their HGV-Rigid and Bus Driving with Tourism Visitor Care programmes that will help learners secure jobs in the freight and passenger transport industries respectively. These employment support programmes offer persons seeking employment an excellent opportunity to acquire the skills, knowledge and receive support to secure employment as drivers in transport businesses throughout Donegal and further afield. All of the driving programmes incorporate a healthy mix of theoretical learning, practical skills training and a period of work placement with a local employer. The programmes are ideal for learners wishing to follow a career in driving. According to the report Addressing the demands for Skills Freight Transport, Distribution and Logistics Sector in Ireland, 2015-2020 published in 2015 by the Expert Group on Future Skills Needs (EGFSN) identified a significant demand for HGV Drivers and other occupations within the sector. The Donegal ETB driving programmes have been specifically designed to meet these growing needs. 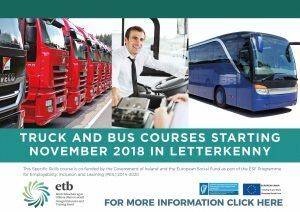 Donegal ETB is currently recruiting for the HGV-Rigid and Bus Driving courses scheduled to start in Letterkenny in November. Places are limited to 16 per course and anyone interested is advised to register their interest early to avoid disappointment. Click here to register your interest in the Heavy Good Vehicle (HGV) Driving Course. Click here to register your interest in the Bus Driving with Tourism Visitor Care Course. Learners can receive further information on any of the courses at Donegal ETB by contacting course recruitment at the Letterkenny Training Centre by phone on (074) 91 20500 or by email on coursesdonegaltc@donegaletb.ie. 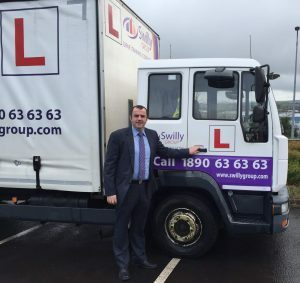 Company Profile: Established in 1975, the Swilly Group is one of the largest providers of training and recruitment services in Ireland. This award-winning company has offices in Letterkenny and Dublin and provides training and recruitment services to customers in the Transport, Driving, Healthcare, Childcare, Retail and Hospitality industry sectors. The Swilly Group is expanding its service portfolio to include a range of Recruitment, Job Placement and Employment Support Services. Candidate Profile: The successful candidate will have at least 3 years’ practical experience and a proven track record in Truck or Bus driving or a similar role. He/she must have knowledge of driving, and the transport industry in general. Although not essential, a Train-the-Trainer Qualification would also be an advantage. He/she must be eager to learn, confident, good with people and flexible. Job Description: The appointee will work within the Driving Division of the Swilly Group and will support the delivery of Swilly Group training programmes in Donegal, Dublin and throughout Ireland. Providing training in both the Training Centre and Driving School. 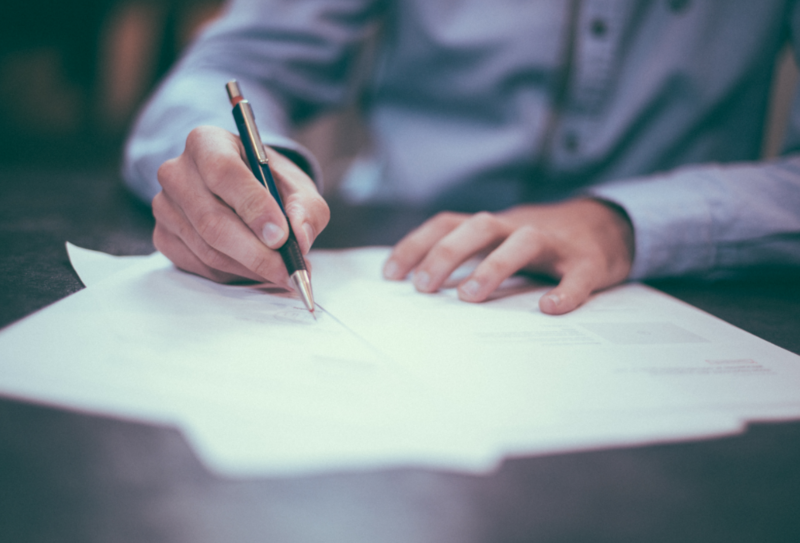 You will be required to be flexible in this position and must be prepared to undertake such other duties as may be assigned to you by the company from time to time. Such duties can be outside the area of your normal work. Applicants should apply with a Cover Letter and full Curriculum Vitae. The position will be kept open until it is filled. For more information or to apply, please contact or submit your CV with your expression of interest to: Recruitment Division, The Swilly Group, Business Park Road, Letterkenny, Co. Donegal (recruitment@swillygroup.com). Please mark the envelope “Driving Instructor Application”.